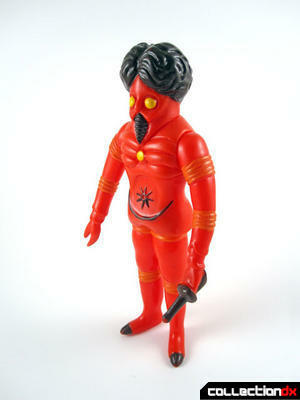 The second figure I acquired from Bullmark's Space King series was Uranus King, the Japanese version of the Colorforms Outer Space Men character Orbitron. In my experience, this seems to be the most common of the figures in the line. In fact, the specimen you are looking at today is in fact the second one I've owned (the first, with a damaged head and missing weapon, having been traded at the 2011 East Coast Chogokin Summit). 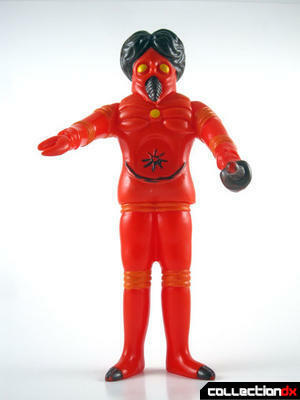 and a striking red coloration, this figure really stands out. 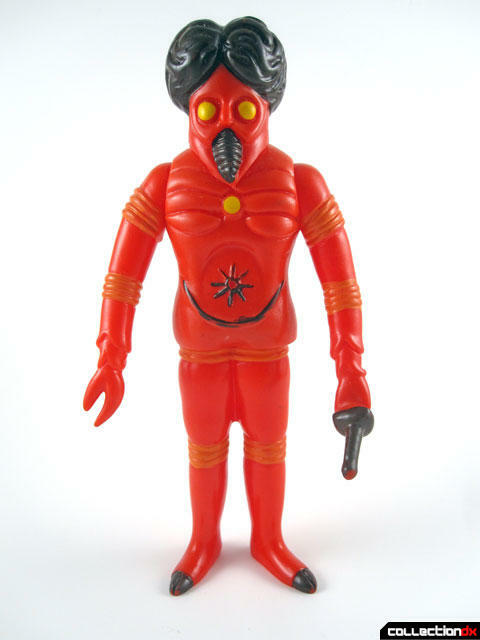 In looking at it, a child of the 1970s may well also be reminded of the classic Micronauts alien "Membros", with his red skin and exposed brain. But here, I have to say that the exposed brain motif doesn't work very well because the brown paint simply makes it look like a full head of hair. Still, I think overall it's a great looking character. 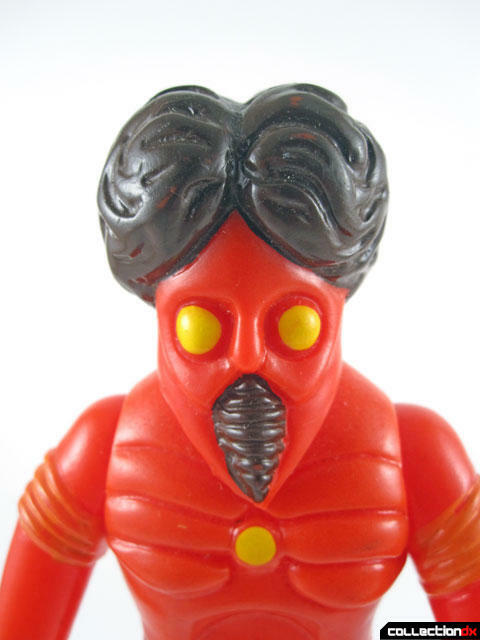 While the original figure came with two accessories, this simplified vinyl simply has one small weapon molded into the left hand, or claw in actuality. This weapon is really somewhat silly looking. It just looks like the creature is holding a billy club or something else not so futuristic. It gives the impression that this alien could be fought off with a board with a nail in it. Like the other figures in the line, Bullmark is written on the foot. For all intents and purposes, there are only two points of articulation, those being at the shoulders. 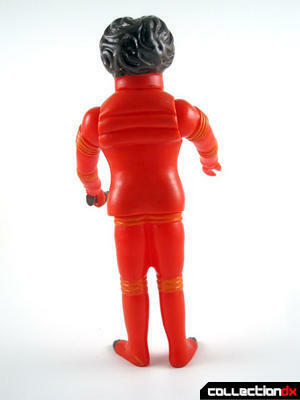 The head and waist can also wiggle slightly but offer no real means of poseability, owing to the construction of the toy. Whoo boy...that is not a good thing to have in your hand when you're the king of Uranus. Or maybe it is? I dunno how they do things on Uranus. Maybe this is normal. I can tell ya one thing at least: It's a friggin' party. I wonder who's the king of Mianus. They would be a great match. Uranus or Mianus, who takes it?